marketmambo: Mortal Coil Shuffler, Act Now! Mortal Coil Shuffler, Act Now! We fall victim to the pleasure of it's languid slumber. The last frost has retreated from the field. Brown becomes green. The month offers the days that nearly escape the need for night. It is the month, we are told, which is ideal for matrimony. We need present no more evidence of it's infidelity. What dreams accompany this slumber? This year they were the disquiet caused by the reminders of our own mortality. We closed the final days of June with the passing of Michael, Farrah, and Ed. Death, at its cruelest, often steals from us only in pairs. Jimi and Janice. Bobby and Martin. We leave to you, the faithful of marketmambo, to weigh your own grief at the loss of this trio. But your Tio Tito would like to speak another name for our remembrance: Billy Mays. Billy, as we're sure you know, also fell in June. America's favorite pitchman passed quietly, as he slept, from heart failure, at his home in Tampa. He was close to our heart as well as our hearth. Billy was a throwback. He learned his hard-sell style of pitching on the boardwalks of Atlantic City in the early '70's, when he was taken under the wings of established but anonymous hawkers. Billy's booming voice hit the airwaves when he was asked to sell Orange Glo on the Home Shopping Network in 1996. He went on to sell a variety of products, though he's best remembered for his work for OxiClean. Billy joined the Mambo family in April of this year as his TV show, Pitchmen, became a favorite of mine and little Tito. He teamed up with his long-time business partner and fellow pitchman Anthony Sullivan to enthusiastically champion the products which represented the dreams and passions of some entrepreneurial inventor. One week it was slippers that cleaned the floor, the following week a device for removing stripped screws. Each episode showed Billy and Anthony developing the campaign from initial selling idea to production of the spot to evaluation of the return. Pitchmen was something of a classroom for DRTV hopefuls. Billy and Anthony had three rules for determining if a product could be sold in a two-minute spot. First, the product had to solve a problem experienced frequently in everyday life. Second, the product had to sell at a price that eliminated any barrier to an impulsive purchase. Twenty-dollars was often the number which was associated with success. Finally, the product had to lend itself to a dramatic demonstration that proved its effectiveness. While these rules are useful, its unlikely that anyone following them by rote would have the same success as Billy. For what sold the products, more than the media schedule, the pricing, or the products themselves was Billy. He was passionate about the products he pitched and found a way to transfer his passion to the screen. He was serious about what he did but not serious about himself. As would be appropriate, Billy was laid to rest in an OxiClean shirt and his pallbearers wore the same blue shirts that had become Billy's trademark. Please friends, absorb this paragraph of the post slowly, for Billy has left us with a message, a moral, that we all must learn from. TV sells. Or at least it can sell. Advertising became synonymous with TV commercials, and as the value of the TV commercial fell into disrepute, as the price of TV airtime has fallen, it has taken the entire industry for a ride. Deservedly so. We blame John Hughes. Yes John Hughes the writer or National Lampoon's Vacation, the director of Home Alone. 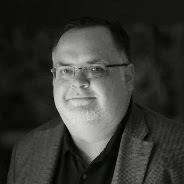 Some may not realize that he was a creative director at Leo Burnett in Chicago, who turned his cinematic side interests into a lucrative career and carved a possible path of salvation for many other advertising creatives who felt that selling products was a waste of their talent. After John Hughes every TV spot became a 30 second indie film, a pay-off to a “this is what I'm doing until Hollywood returns my calls” story. Selling took a back seat to cinematic pretense. Billy used TV, the moribund medium, to pitch without shame or apology, and along the way he made a lot of money for himself and his clients. If you missed it the first time: TV sells. Billy will enjoy some momentary immortality. He'll be seen in a few TV spots that had already been produced. Two will be for the Mighty brand, in this case Mighty Putty and Mighty Tape. His family approves of the post mortem appearance by Billy, sure that he'd like to go out pitching. Billy would also be pleased to know that since his death, sales of Mighty products are up 30% in retail outlets. 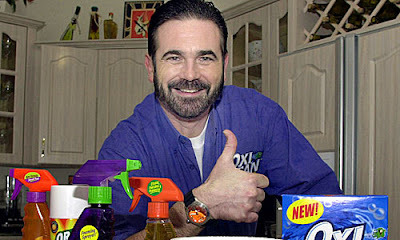 Church and Dwight, owners of Orange Glo, have decided to not air their remaining Billy Mays spots. And only this week the Discovery Channel announced that because of the success of the first season of Pitchmen, they'll be renewing the show for a second season, this time with Billy Mays II as the on-air partner of Anthony Sullivan. If you'd like a sampling of Billy Mays at his finest, the Discovery Channel will be re-airing Pitchmen: A Tribute to Billy Mays on Friday, July 24th. Readers may have noticed the allusions to another Billy littering this post, Billy Shakespeare. Brushes with mortality put us in a reflective mood. If the mortal coil shuffler ever becomes available, we are compelled to ask, who would fardels bear? We would like to leave you on a different note, returning to our opening attack on the month just past, the month that marked the passing of so many. Please savor “Summer Wind” by clicking the link below, and Frank Sinatra will share his feelings on the loss of one he loved, made appropriate to the season. Great stuff as usual, Tio Tito. As someone who actually wrote some spots for Ed McMahon, I concur that he paved the way for annoying brayers like Billy Mays, albeit without ever raising his signature baritone voice. But I caution you, Tito: you risk the ire of your fans when you mention Mr. Shakespeare and Mr. Mays in the same sentence.